With the popularity of Smartboards in the classroom growing more and more teacheres are finding creative ways to utilize them in the classroom. Here are a few great resources for lessons as well as some training. Take a look! *I am biased to Smartboards because that is what my district is implementing. Alot of these resources can be adapted to any interactive white board such as promethean and mimio boards. Mr. Holshoe’s Classroom Website– This site has several resources for interactive whiteboards and it is seperated by grade level. Stop by and see what you can find! Super Teacher Tools– This site has everything from a random group creator to game creation resources like Jeopardy. This is a great resource for tech tools for teachers. Smart Exchange– Smart exchange is a place not only to find lessons but also a great way to network with other teachers and exchange best practices. The standards based search is a great way to make sure that you find content that is based on your states standards. Youtube – Smart Tech is on youtube! check out their channel for new products, lessons as well as tutorials. 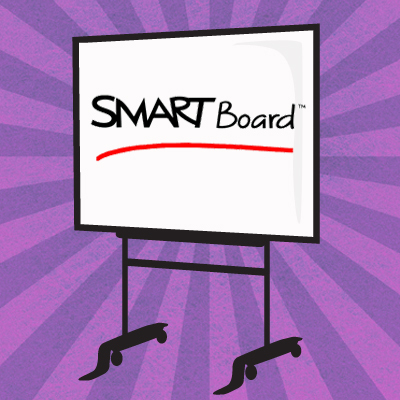 Smarter Smartboard Use– This is a school website from MO that is constantly being updated with new resources. This site also has great resources for every subject including ART. I hope you find these resources useful. If you have any questions don’t hesitate to let me know! Do you have any secret resources up your sleeve? If so let us know! Pingback: Snow Day? Create Your Smart Lessons from Home!